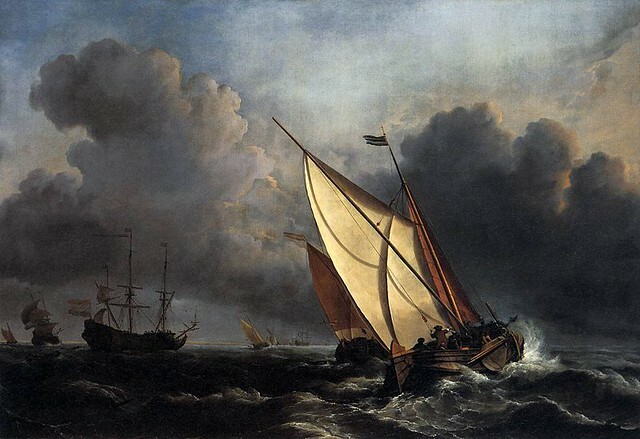 Willem van de Velde the Younger, 'Ships on a Stormy Sea', 1672. This week’s Economist cover is pretty great. Al Qaeda in Iraq’s staying power. Why is President Obama keeping a journalist in prison in Yemen? Glenn Greenwald is furious. Kevin Drum dissents. Adam Serwer wonders if we’re asking the right questions. Advising local forces: Build a house and burn it down. Ever wonder what all the buttons in a 737 cockpit do? Now you know. Where Myanmar keeps trampling rights. Photos of absurdly tiny homes. Peter Beinart’s new Zion Square blog is worth adding to your reading list. Community’s back. You should be happy about this (trailer via Slate’s Browbeat). A journey to al Qaeda’s Islamic emirate in southern Yemen. Heartbreaking photos from Israel and Gaza. Plus: Israel’s revolutionary Iron Dome missile defense system in action. I really enjoyed John Carter. Vulture on how the film was doomed by atrocious marketing and big egos.